A former Miss Hong Kong is being sued for her beauty pageant crown as part payment for HK$3.76 million (US$479,000) in unpaid debt owed by her and her husband, a court writ shows. Winnie Young Yuen-yee, the 1995 winner, and her partner, Wong Shuai-fun, pledged Young’s crown as collateral along with a property in the United States to secure a loan three years ago for their Samoa-registered business Little Einstein Academy. The couple borrowed HK$2.4 million from Trinity Aim Capital Limited for the venture, which was based out of CC Wu Building in Wan Chai. The money was granted between December 2014 and November 2015, but due to their failure to repay in full, the debt has since snowballed to HK$3.76 million including interest, according to a writ filed last Friday by the creditor. Trinity Aim Capital has lodged a civil suit asking a court to compel the couple to hand over the beauty crown and house in San Francisco, California. “Wrongfully ... the defendants have failed to deliver the pledged properties to the plaintiff, even after the ... default occurred,” the writ said. It is not the first time the former beauty champion has faced legal action. In March Young became the target of a lawsuit filed by a kindergarten of which she was a director. Steam International Kindergarten accused her of transferring fees amounting to HK$147,000 into Marker Spaces Limited, another company she owned. Her husband had earlier filed a winding-up order to close a kindergarten called Golden Gate, for which he was a creditor. Young had opened the business but later shut its doors. Wong’s order was an attempt to recoup part of the couple’s investment in the project, but the High Court in February refused the application. In the present case, lawyers for Trinity Aim Capital said the couple’s company had first asked for a loan of HK$2 million in December 2014. They then repeatedly postponed the dates of repayment and failed to keep up with the instalments, the creditor said. A further HK$400,000 was requested and granted in November 2015, the lender said, but since then the failures to repay had continued, prompting the court action. Mandy Cho, Miss Hong Kong in 2003, once told local media her crown was worth about HK$1.4 million. Lukfook Jewellery, which has been sponsoring the crowns for the beauty pageant, said in 2011 the price had risen to HK$3.5 million. 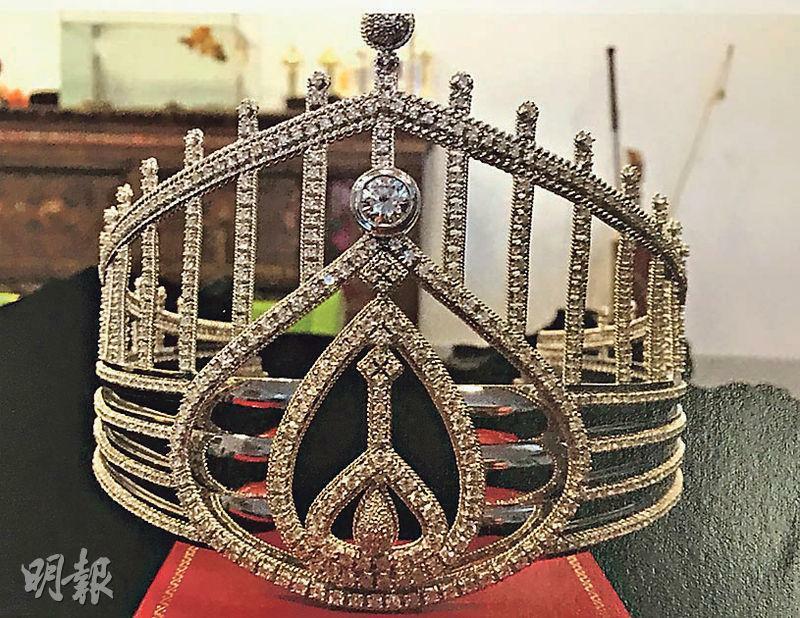 The 2016 crown was reportedly worth HK$4.6 million. It is often decorated with diamonds and gold. Company problem or gamble too much or whatever reason. If you can't repay then they take the collateral, that is not wrong. Oh dear, one may not be thinking a former miss Hk can run into trouble like this, business and the crown of miss hk?. This is new to me involving the crown. Thats unfortunate of them to be in debt, hopefully they will be able to resolve it soon... but its first time to read about using a pageant crown as collateral. She is quite a good actress. I have seen her in quite a number of tvb dramas and she was doing pretty well. It must really be tough on her to use her prized pageant crown as collateral. I felt sad for her and hope things will work out soon.